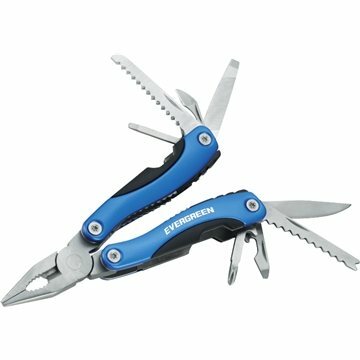 Functions include pliers, knife blade, Phillips-head screwdriver, flat-head screwdriver (small and large), bottle opener, can opener, saw blade and nail file. Includes nylon storage pouch with belt loop. Material: Aluminum case with stainless steel tools. Was happy that I buy a lot from you (for my little business) and I do like working with the same person, Veronica is GREAT!! the color of the product matched the lanyard nicely. We like AnyPormo first because of the customer service. was exactly as described and ordered. This was the 2nd time I ordered these. the printing was exceptional. Everybody thinks they are great! Love them!